From under the ground, on ancient rock and hidden cliff faces, there are hidden traces of our ancient ancestors. The secret wonders that mankind created through the millennia. People have been bestowed with creative minds and the dexterity to draw, so through art, the heroic history of our species is mapped. The fine art of the hunter-gatherer era was rustic like themselves, simple, and expressive. 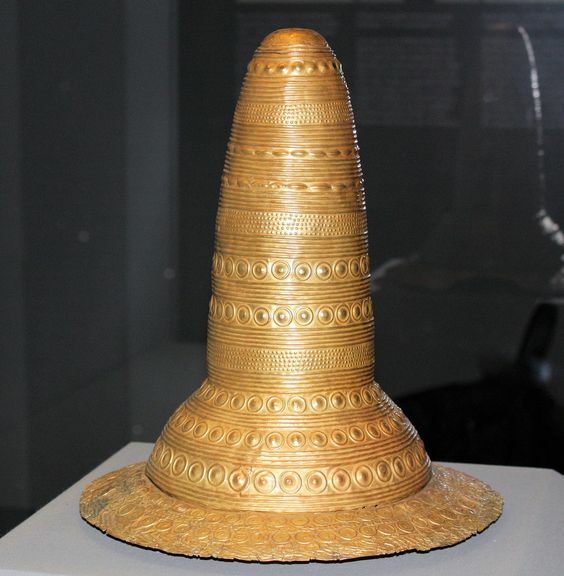 Human society in this era was organized into tribes or clans, extended family groups, and each period of time featured its own unique characteristics. 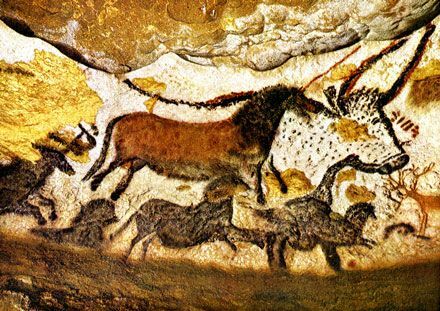 The very first age in which we find examples of art was the Stone Age. In this period people had begun developing tools. People in this era understood their powerlessness before nature so used tools to level the playing field. Traces of art could, therefore, be made more permanent, so human art makes its very first appearance here. 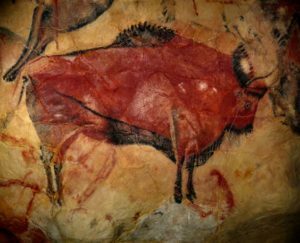 Some of the best examples of art from this period come in the form of cave paintings, made in the shadowy light of caves. In general, because of the simple techniques, the painting in this historical period did not place much emphasis on realistic depiction. But are instead focused on conveying the forms surrounding them and the meaning and connotation of surrounding events according to the point of view of the people at that time. 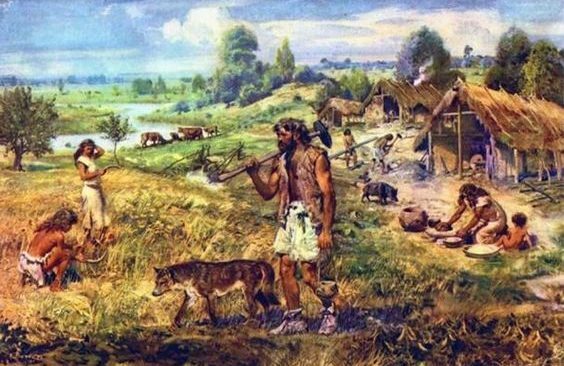 In the Neolithic period, techniques for making tools, producing pottery and building houses, vastly improved, creating the development of the community. In terms of art, despite the unequal level of development across the globe, most areas of production share some common features such as sculptural works from small stones, animal-like sculptures, simple and rustic human sculptures; decorative art on items were highly developed. 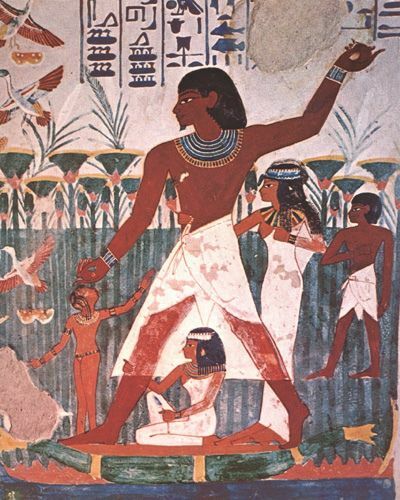 Next came the Bronze Age: The regime of slavery and possession appeared, forming states of different classes like in Egypt, China, and Mesopotamia. 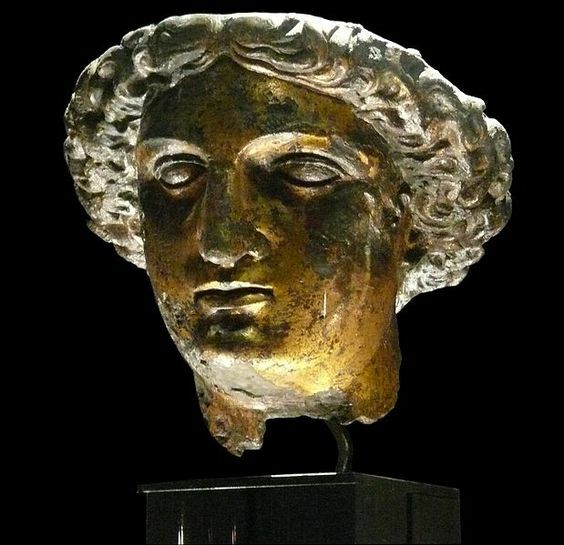 The new materials of the age quickly fell into popular use, materials such as copper, brass and, of course, bronze. Art began to develop drastically along with many kinds of belief systems. 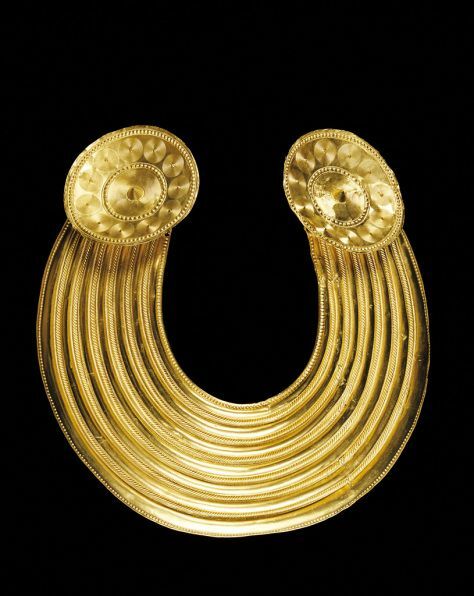 The Iron Age: The introduction of iron was an unprecedented leap forward in human development. It allowed for the advancement of techniques, craftsmanship and tool production. The metallurgical industry was born. It was in this time that discrimination began to emerge, as unity grew stronger within communities, so did the sense of ‘us and them’, leading to the outbreak of war. Hallstatt culture became predominant during this period in Europe, developing out of Austria and expanding across Central and Southern parts of the continent (10th century to 5th century BC). 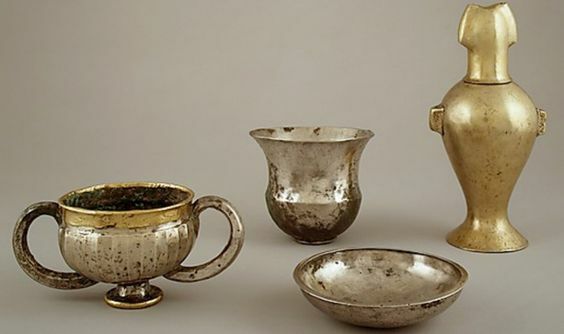 Many fine examples of ornately crafted metalware objects came out of this period, most of which are considered today to be applied art treasures. A unique group of relics of silver carved and engraved buckets were used in religious ceremonies. The close connection between art and spiritual beliefs was apparent and growing throughout this era. The finest art products of this period were devoted to spiritual rituals with special respect for the Gods. Ancient Oriental Fine Arts: Signs of civilized Asian heritage. Egypt and the countries of Mesopotamia used to be called the ancient East. Today it colloquially signifies the remnants of the Eastern Roman Empire; Egypt and Mesopotamia were the two most eastward provinces of the Roman Empire. But subsequent excavations in the 19th and 20th centuries have proved that the ancient East was not only limited to these two areas, but also Palestine, northern Xiri, central Asia Minor, the outer regions of the old Caucasus, the Iranian plateau (Elam region), the regions along the Indu river, and also ancient China. 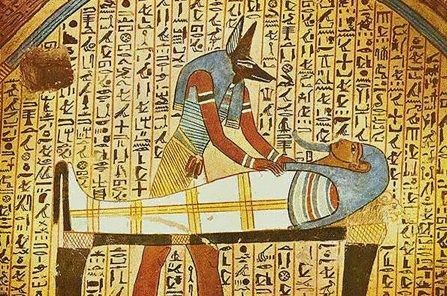 Ancient Egyptian art: Where did the Egyptian Pyramid originate from? Ancient Egyptian civilization began in 4000 BC and ended in the fourth century BC (approx 332 BC). As their works were notably mixed up with remaining works from earlier civilizations that had been destroyed, archaeologists struggled initially to identify their origin. 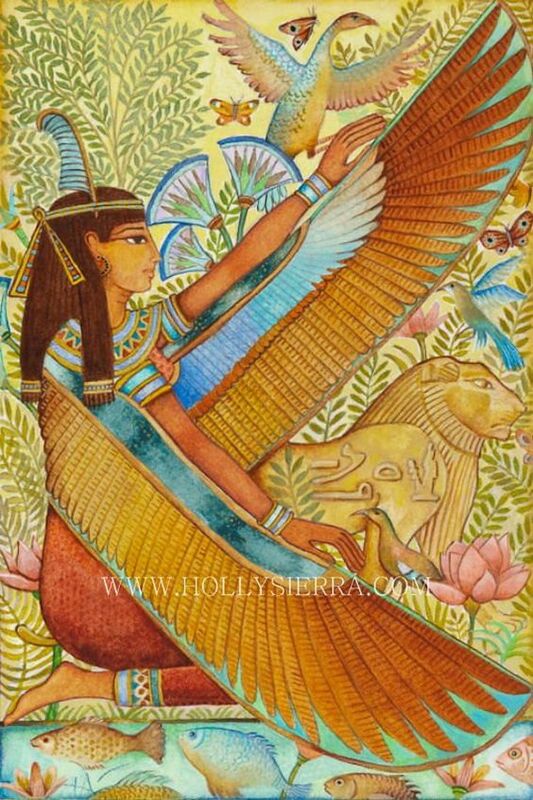 However, all works from ancient Egypt, including architecture and sculpture, shared a common feature of carrying with them a spiritual and religious meaning. These strongly rooted beliefs gave rise to the standardization of artistic images which were constantly evolving to create a strong regional identity. However, there were still many unique and diverse forms from different historical periods in this region. 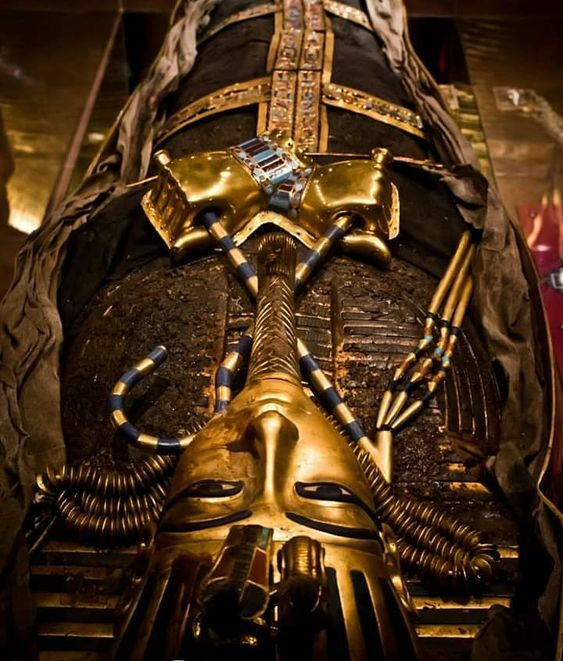 The most outstanding remnant from ancient Egypt is the architecture followed closely by hieroglyphic paintings and burial adornment. Overall, it is a complete and comprehensive artistic period. Egyptian art has its own unique characteristics which make it prominently stand out and be instantly recognizably Egyptian. These artistic standards—simple lines, shapes, and flat areas of color combined with the characteristic flat projection of figures with no indication of spatial depth—created a sense of order and balance within a composition. In sculpture, solid, simple blocks of geometry are incorporated. Pottery produce, such as pots and decorative clay jars, served a decorative purpose, depicting the customs of burying the dead, scenes of worship, everyday farming life or sailing down the River Nile. The great structures such as the Pyramids and the Sphinx, are like large scale statues, designed and constructed to be endlessly imposing and impressive. Their internal frescoes and reliefs did not utilize the laws of perspective, but instead a 2D flat graphics method. Due to our limited understanding of the engineering capabilities of the ancient world, still to this day, we have many unanswerable questions surrounding the construction of these great builds. 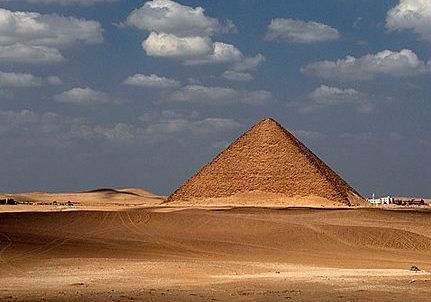 For example, How did the ancient Egyptians carry such large rocks and elevate them upwards to build such pyramids? 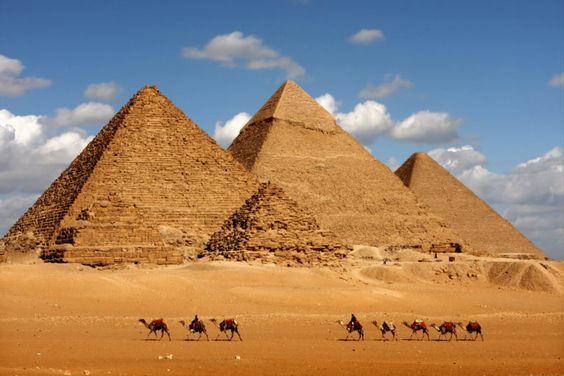 While there is scientific proof that some of the pyramids in Egypt were built by ancient Egyptians, there is still a great number for which there is no explanation. There is a belief that those that can not be explained are left over from an earlier human civilization that occurred before the occurrence of the Great Flood. Ancient Egyptian art was one of the first major artistic movements of the civilized world. 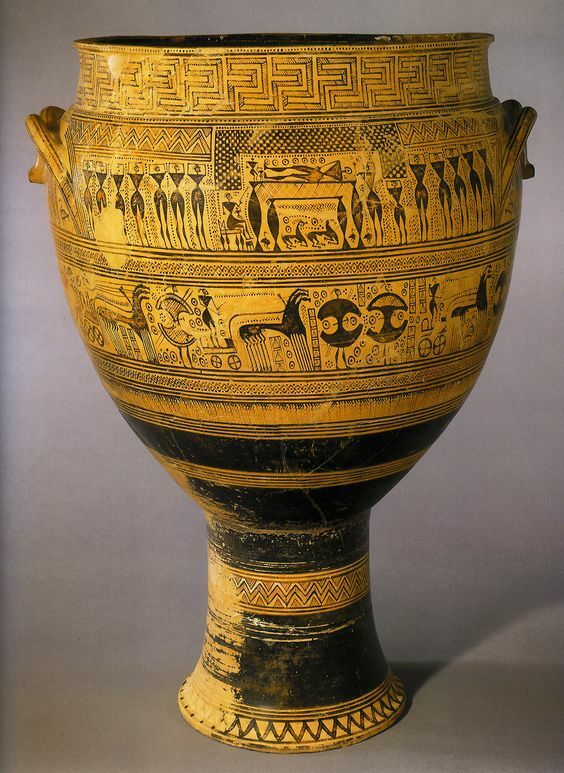 It had a profound effect on Southwest Asian and Greek art. Looking at sculptural works and paintings from this period, we can see that they developed their art to a very high level of competency. They may also have been fortunate enough to inherit the legacy of earlier civilizations from before the Great Flood. Ancient Mesopotamian fine art in the Babylonian kingdom. 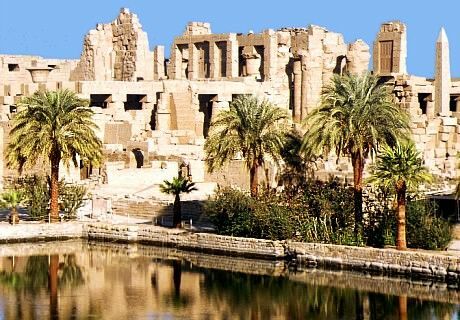 After Egypt, the second most famous area of ancient Eastern culture belonged to the pre-Asian countries with various tribes such as Sumeria, Atxiri, Xiri, Palestine and the states of Khet, Urartu, and so on. Ancient culture in pre-Asia was the culture of Mesopotamian tribes (also known as Mesopotamia, which lasted for about 3,000 years). The Mesopotamian art that existed from 4,000 to 3,000 years BC belonged to the Sumerian culture. At the end of the 22nd century BC, the Sumerian nation – Atcát reunited, before bearing the new name of Babylon. Unfortunately, the relics of this period are few and far between. One of the most famous relics from this time is the relief of the Hammurabi code of law, which was carved onto a two-meter pillar of diorite. 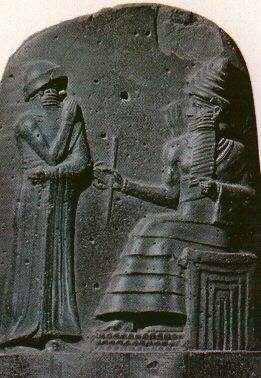 It depicts the Hammurabi king praying to the god of sun and the Court God of Sumnsem (the Court God is symbolized with a short sword and magic ring). 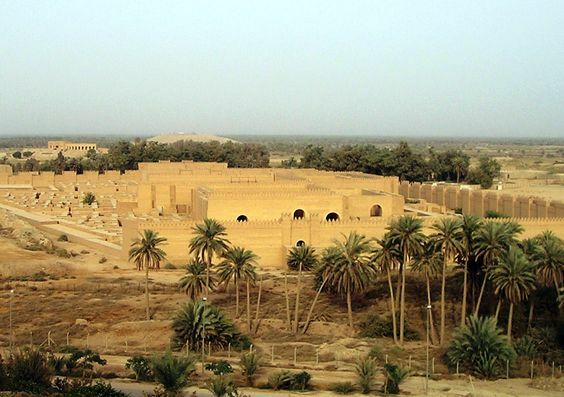 Babylonian art in the VIII and VII centuries BC was identified when the capital Atxiri-Nhinevia fell into Babylon’s hands, under the reign of King Nabopolassar. It was a period of strong growth and architectural works. Perhaps their most unique piece of architecture was the Ishtar port, built in the form of a watchtower, with a roof arch for the entrance, built in fired bricks. Some tiles were embossed with images of lions, and some animals symbolizing gods like cows and dragons. The relief was covered with a layer of colored enamel, proof that the Babylonian style was mesmerizing and heavily reliant on the use of many decorative colors. Art historians characterize the ancient world of art to be an era of heavily religious influence, where all works were directed to the might of the Gods. Whether fine or primitive in nature, all artistic efforts were devoted to showing special respect for the Gods and the Creator. Exquisitely sophisticated artworks dating back to millions of years still exist, many of which carry mystery and wonder, but all depict the times from which they were created, delivering us with an insight into the ancient world. The power of the ancient world lay in the hands of the gods. Order, community, and unity came from the common beliefs held within each given area. Through the desire to worship, praise and please the Gods the advancement of artistic outlets was born. It is through these ancient desires that the foundations of artistic exploration were laid.